There are literally hundreds of things you COULD do while in San Diego, and if you have special interests, by all means indulge them. These suggestions are designed to give you a look at some of San Diego's many faces and a chance to visit some of the special Southern California places of interest. 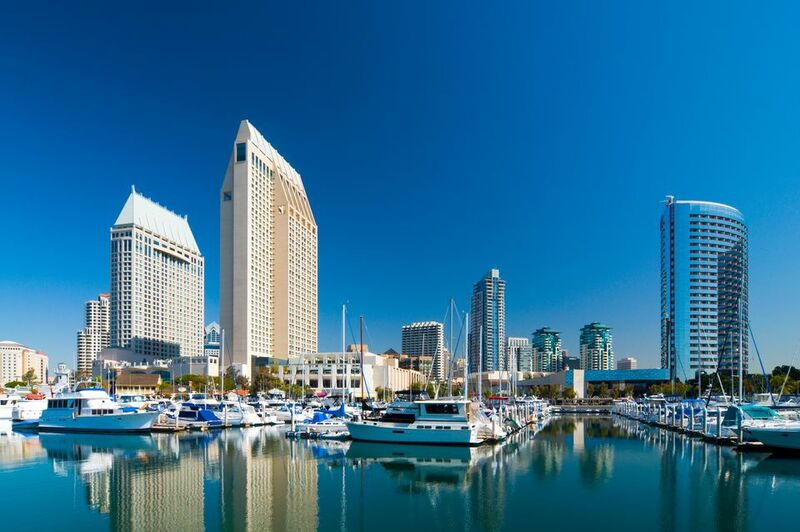 San Diego is one of California's most popular tourist destinations. In recent years, San Diego has become a surprisingly sophisticated place, and it has something to offer almost everyone, from ballet to theatre to zoos. These itinerary suggestions are enough for a family vacation up to two week long. Each of them will take about a day. Mix and match to create your own fun San Diego itinerary. Best Zoo: The San Diego Zoo consistently ranks among the world's best, visited by more than 5 million people per year. If you like animals and zoos, you'll love this one. Beach Bum for a Day: One of the hardest things you'll do all day is decide whether to play beside the ocean or along the shores of Mission Bay. If you choose the beach, use our guide to find the one that matches your style. There's also plenty to do at Mission Bay, the largest man-made aquatic park in the country. No matter where you spend the day, a trip to Belmont Park, an old-fashioned seaside amusement park makes for a fun evening. See Things from the Sea: Sea World San Diego seems to appeal to almost everyone, especially families. It's a medium-sized park, easy to walk across, with rides, animal exhibits and shows. Seaside Villages: Enjoy a day along the oceanfront in two of San Diego's most charming seaside towns. Just across the big bridge you see from downtown is Coronado Island. Its white, sandy beaches have earned numerous ratings as one of the country's top ten beaches and you've probably heard of the Hotel Del Coronado, but we think one of the most fun things to do is the Coronado Island walking tour. North of town, La Jolla, whose name means "the jewel" is a beautiful town ringed with blue waters. It's one of California's prettiest oceanside towns, and home to several of the state's best beaches, a fun aquarium, one of the state's best theatre companies and some great restaurants. San Diego Safari: It changed its name from the Wild Animal Park to the San Diego Zoo Safari Park, a better description of what you'll find there, where species mingle much like they do in their native Asia and Africa. USS Midway was the world's largest ship when commissioned in 1945. She now serves her final tour of duty in San Diego, home to one-third of the Pacific Fleet and a large cadre of the Midway's former crew. The San Diego Maritime Museum is a good place to explore the world's oldest active sailing ship, a replica of an early America's Cup yacht and a host of other seagoing vessels. It's not on the water, but this is a good time to take in the Gaslamp Quarter, which is nearby. Legos Gone Wild: Legoland is designed for children ages 3-12. It's one of the best places in California to take younger children for a fun day of play. Park It: Balboa Park is largest cultural complex west of the Mississippi. Besides the San Diego Zoo, it's also home to 8 gardens, 15 museums and a Tony Award-winning theatre. Race Up to Del Mar: Late July through early September, the Del Mar Race Track is more fun than you might imagine, even if you don't want to bet on the horses. Our guide takes all the mystery out of a visit. Before or after your day at the races, you can also visit La Jolla. The Gaslamp District owes its development to early entrepreneur Alonzo Horton and an area of great architectural charm, its streets lined with nineteenth-century buildings. Take a walking tour from the William Heath Davis House to learn more about its history and famous residents, including Wyatt Earp. Check out Balboa Park, where you'll find a half dozen gardens to explore, so close you can walk from one to another. If you visit the nearby San Diego Zoo, you may be surprised to find that it's is also a botanical garden with more than 6,500 plant species, some of them more exotic than the animals. Plant-lovers can pick up special garden guides near the entrance. Early March through early May, 50 acres of red, orange, yellow, green and purple Giant Ranunculus flowers are on display at the Carlsbad Flower Fields. The San Diego Botanic Garden is north of town in Encinitas and they put on a special evening light display in December. Tijuana is safer than it was for a while and the break from so many tourists has made it much more interesting. If you decide to go, use this guide to visiting Tijuana to find out how to visit and discover some things you probably didn't know you could do there.